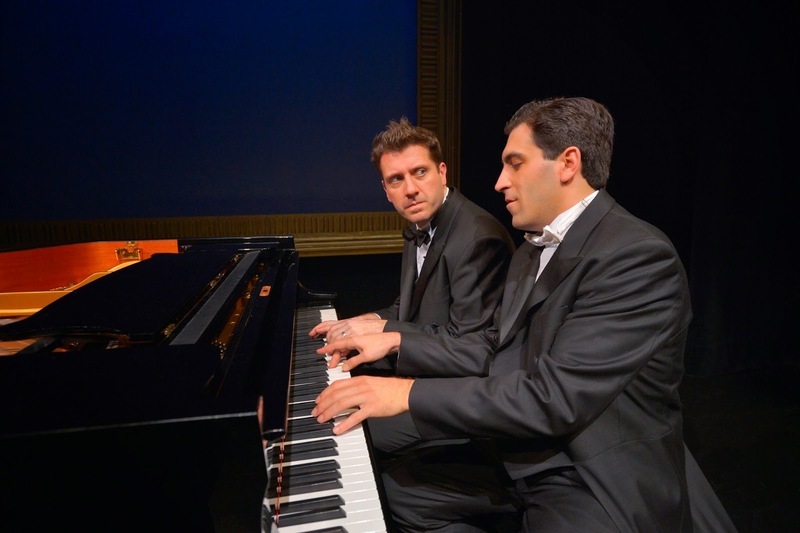 It's a great idea for a show, which is why Richard Greenblatt and Ted Dykstra's "2 Pianos 4 Hands" has won every possible honor in the authors' native Canada and has been performed all over the world for close to twenty years. It is the story of the triumphs and struggles of two piano prodigies from the same Montreal neighborhood, stretching from their early childhood well into adulthood. 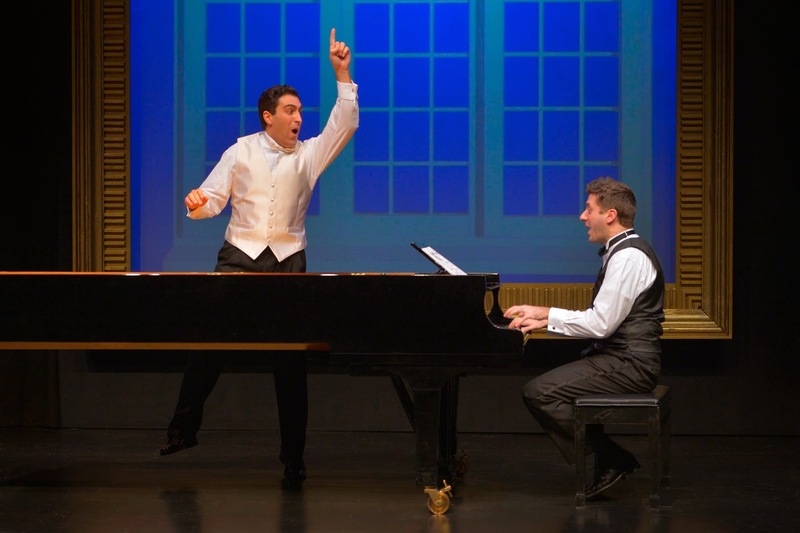 Richard (Christopher Tocco) and Ted (Darren Dunstan) are both terrific pianists but classical music has absorbed them. Neither has friends, nor outside interests. They live in a world of constant competition and impossible expectations, from their parents, their teachers and from themselves. We wish we cared more. This could be such a deep story; instead Tocco and Dunstan play strictly for laughs. The opening, especially, feels like Victor Borge on the Ed Sullivan Show. But the gags have little heart behind them; worse than that we are showed the two pianists' struggles but none of their pleasure. Perhaps this is the story the authors wish to tell -- the misery of the endless grind. While Greenblatt and Dykstra may have been piano masters as well as excellent actors, neither Tocco nor Dunstan excite us when they play. 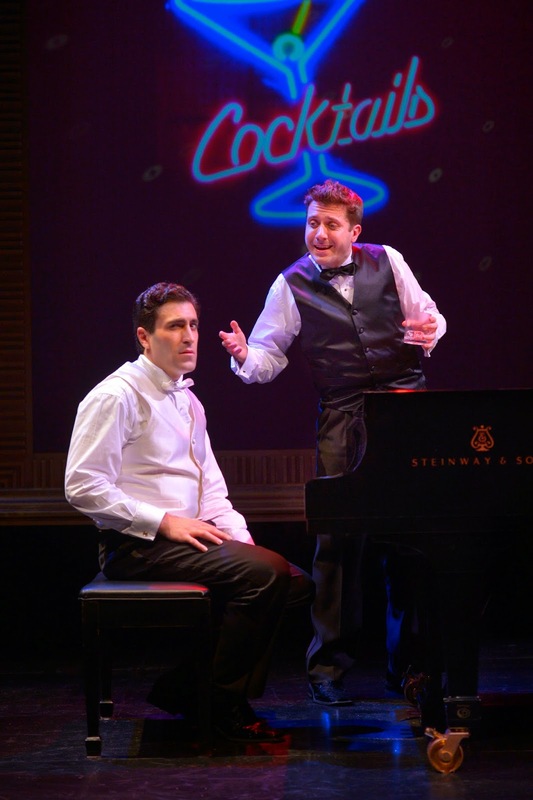 The show, which is basically about two classical musicians who who are never quite good enough to be stars in their world, would pack a lot more emotion with two fabulous pianists than two good comedians. The finale is exactly what we expect: Piano Man. Each actor plays multiple roles and we enjoyed these bit parts quite a bit, such as Dunstan's rendering of the poor man at the Kiwanis Club who had to listen to four hundred pairs of children playing the same 4-hand recital piece. 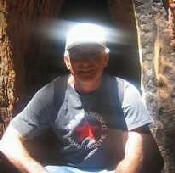 Likewise, Tocco's music school professor who rejects Ted's audition made our skin crawl. The authors took every opportunity to exorcise a lot of their early demons. But in the end, though this is an interesting story it breaks little new ground. We wish the characters showed more depth and that the music itself could help us see more than two actors who can also play piano. 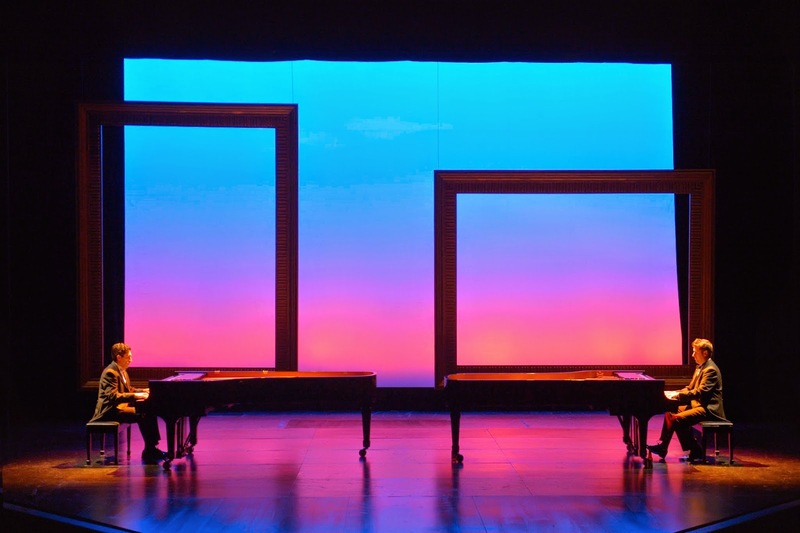 The San Francisco Theater Blog Awards Division awards "2 Pianos 4 Hands" TWO STARS WITH A BANGLE OF PRAISE. Though this leaves the show below the Julie Andrews Line (see right side bar for explanation of ratings), it does deserve a BANGLE OF PRAISE for Richard's excellent summary of the classical musician's dilemma: "I feel guilty when I don't practice, and inadequate when I do."